I really love this recipe because it consistently gives me huge, chewy cookies that stay good for days. Most chocolate chip cookies start to taste ‘blah’ within a day or two, but these beauties are just as good 3 or 4 days later! The secret ingredient here is the cream cheese. It’s not much, but it makes a huge difference in the flavor! Michael loves chocolate chip cookies so I’m always trying out new versions, but I keep coming back to this one, especially when I have a little cream cheese stashed in the fridge! The dough is also addicting…not that I eat it, ahem. Give it a try and it just might become your new favorite! In bowl of stand mixer, cream together butter, cream cheese, sugars, and vanilla until well mixed. Add egg; beat well. Add flour and baking soda and beat, then stir in chocolate chips. Cover bowl with plastic wrap and refrigerate for at least 2 hours and up to 3 days (I froze mine for an hour). Preheat oven to 375°F and line baking sheets with parchment paper or Silpats. Scoop 2- to 3-tablespoon sized balls onto the baking sheets, spacing at least 2 inches apart. Bake for 9-11 min. or until golden brown. Cool on baking sheets for 2 minutes then move to a wire rack to cool completely. Yum!!! 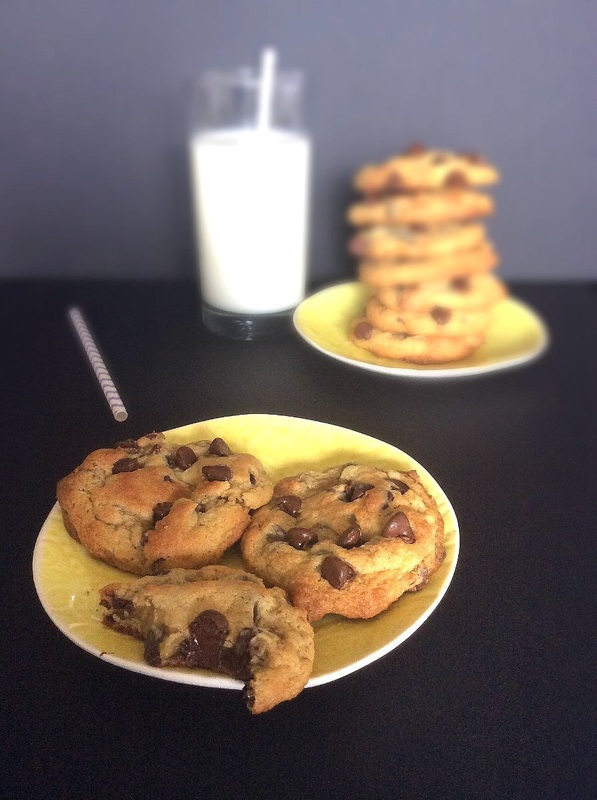 Chocolate chip cookies are my favorite to bake and eat! Great top with the cream cheese, have to try it! They’re my favorite, too! I think they were the first thing I ever made, onc I was tall enough to reach into the cupboards 🙂 This recipe hasn’t ever let me down! 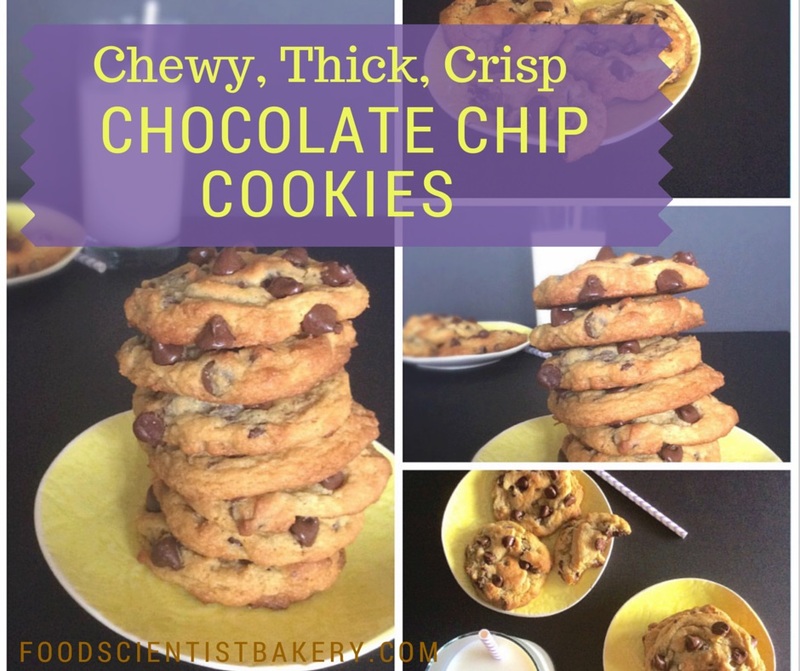 You had me at thick and chewy! These look absolutely delicious, I think I would have a hard time not eating the entire batch myself! They sound really good and different! They’re amazing. I’ve been trying other recipes lately, but this one is the only one that stays good for days! Gonna put this on Linked In under "skills"